ORLANDO, FLORIDA — Blockchain. It’s become a buzzword in real estate, but will it go the way of the QR code or actually change how the industry works? Blockchain was created a decade ago as a type of distributed ledger, which is a decentralized database that exists across several locations or among multiple participants and allows all participants to view the records in the ledger, which are unchangeable and verifiable. 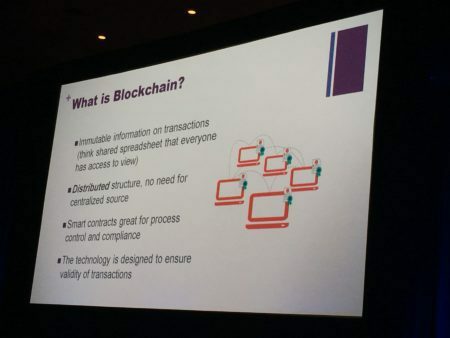 “Blockchain is immutable … but it’s also transparent. 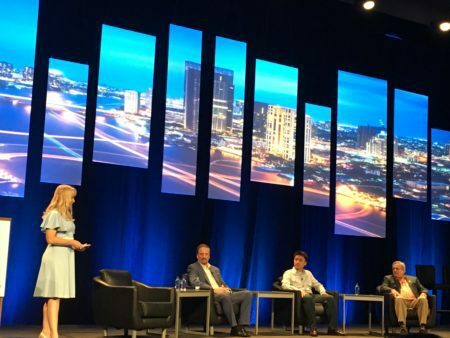 Think of it as a spreadsheet that everybody has access to,” said Rebecca Jensen, MRED CEO and moderator of a panel at the Council of Multiple Listing Services (CMLS) annual conference Thursday. Individuals will have control over how much data they share about themselves and to whom. Free data mining will be over. Everyone — from consumers to MLSs — will get paid for the data they choose to provide. Consumers will get to keep more of their money when they can securely send money directly, without a bank as middleman. MLSs will still have a role in ensuring data quality. MLSs databases will be extremely secure and data transfer will be fast. Wire fraud will disappear once blockchain comes into play, John DiMichele, CEO of the Toronto Real Estate Board, said on stage. “Everybody will know who’s doing [a transaction], it’ll be completely transparent, it’ll be available for audit,” he said. In 2008, when bitcoin — a digital currency that applies blockchain technology — was invented, “immediately the first reaction is no more counterfeiting of money,” he said. In April, the city of Chicago began to offer its residents blockchain-based optional municipal identification cards that they can use for city services, local business discounts, and public transit. “In the blockchain world identity is different … the idea is that every person manages their own identity,” panelist Mark Lesswing, formerly CTO of the National Association of Realtors and now a blockchain entrepreuner, told conference attendees. Instead of a centralized provider that anyone who wants personal information can go to (or hack), blockchain lets users choose what personally identifiable information (PII) they want to share and with whom, according to Lesswing. 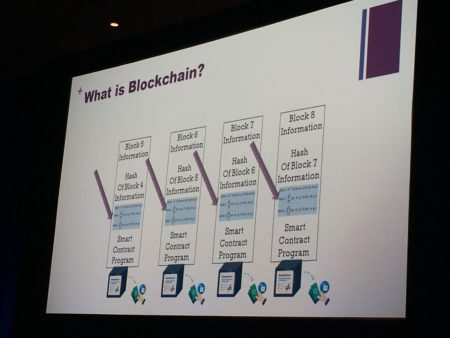 Documents such as passports and birth certificates can be stored in a blockchain and the consumer decides what can be used and what can’t be used, Lesswing said. For instance, some transactions — bar tabs, for instance — require the consumer to be 21 or over, so blockchain can potentially allow consumers to just show that information, not their address or anything else. “So the user has the control of that and all the risk goes out of it for the MLS,” Lesswing said. A blockchain tool called uPort, which CityKey uses, does this and is already in operation today, he added. In five or 10 years, when blockchain becomes mainstream, people will be compensated for their data, according to John Kang, CEO of blockchain escrow platform Reasi, told attendees. “Today, people just mine our data publicly, either going on Facebook or some other social media site. It’s all available for somebody to mine,” he said. Similarly, blockchain access to listing data could become a revenue stream for MLSs, DiMichele said. “It’ll be very efficient and so when someone needs a couple of fields from that listing, they’ll pay a very small amount of money to actually access those particular fields in order to accomplish what they need to do in order to have that transaction move through the process,” DiMichele said. Already, anyone can use bitcoin to send money directly from one person to another person without using a bank, Kang said. “When you actually think about that, that’s actually a very powerful thing. There’s no more middleman bank that controls the flow of money, taking their fees,” he said. In the short- to medium-term, the main benefit of blockchain for the masses will be through financial applications, according to Kang. Consumers will not be the only ones to benefit — investors will too, he said. “What I mean by that is investors in mortgages, lenders who provide that financial capital directly to the buyer,” Kang said. “Today there are lots of middlemen that could potentially be kind of obviated because of a blockchain system,” he added. Much of the value of mortgage banks, for example, is in connecting consumers to lenders, which is “a lot of work,” but much of it is administrative, Kang — who is also an active loan officer — said. Many of those tasks could be automated through a blockchain smart contract, he said. Smart contracts operate through an “if:then” model — if a certain condition is met, then an action or transaction takes place automatically. Smart contracts allow for the storage of information about all sorts of transactions, including asset transfers and home sales. Fewer middlemen means “a lot more money will be saved by the actual parties that are funding the transaction or at the other end of a transaction buying the property,” Kang said. But what does that mean for the real estate middlemen closest to the consumer — agents? 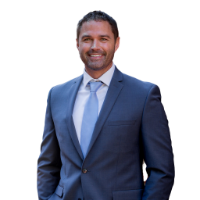 “I’ve heard everybody say that the Realtor will always be part of the process and I truly believe that. This is not going to have an effect on the actual feet-on-the-street situation at all,” DiMichele said. “Because Realtors are more than just a piece of software,” Jensen said. And what of MLSs? What if blockchain allows for an application that just connects buyers and sellers to each other? MLSs have nothing to fear, according to Lesswing. “One of the great values of the MLS is clean and reliable data and, remember, one of the hallmarks of blockchains is they never forget. So you want to be able to put good, clean data in,” he said. There are two main real estate benefits to blockchain, one to the transaction itself and the other to MLSs, DiMichele said. “[For] the transaction, it’ll take out all the administrative burdens. Once the smart contracts are in place, you’ll go from contract to conveyance quickly,” he said. People will have personal identification “blocks” and companies will have corporate identification “blocks,” which will provide easy identity verification and allow transactions to move fast, he added. “Similarly, if you’re looking at the MLS itself, you’re going to have a database that will be locked down, effectively, extremely secure, extremely safe, very cooperative in nature, and fast,” DiMichele said. How can the real estate industry prepare for blockchain? Whether real estate professionals believe blockchain is a game-changer or not, “the game’s afoot. It’s already happening,” DiMichele said. Lesswing recommended conference attendees read a book, Radical Markets by Eric Posner — particularly Chapter 5: “Data as Labor” — to open their minds to how new markets develop. “Once you understand that there is a different kind of market out there, compared to what we have now, it’ll be much easier to move into blockchain technology for your businesses,” he said. Kang recommended brainstorming how real estate businesses would benefit from a permanent record-keeping system. “It could be in a data aspect or a financial aspect,” he said. He also recommended actually buying some bitcoin or another type of cryptocurrency. “People learn better when they have a stake in it. Don’t blow your savings, right? Get some just to see how it works. Watch YouTube videos [to learn how] – that’s the best training I’ve ever had,” he said. DiMichele said that once blockchain starts gaining traction it will inspire the same feeling as when the internet started gaining steam. “It will make our lives much more simple and more secure. You’ll do transactions, you’ll be happy to do them, you’ll feel more confident doing them, and I believe it’s the future,” he said. REPOSTED DIRECTLY FROM INMAN NEWS. THIS CONTENT HAS NOT BEEN MODERATED BY WFG NATIONAL TITLE..